All products that meet the definition of hazardous materials must be placarded at some point. There are two placard tables (see page 95). Table 1 materials must be placarded when any amount is transported. Except for bulk packagings, the hazard classes in Table 2 are required to be placarded only if the total amount transported is 1,001 pounds or more, including the package. Add the amounts from all shipping papers for all Table 2 products on board. You must use additional placards when what words appear on the package or shipping paper? If the words INHALATION HAZARD are on the shipping paper or package, you must display POISON INHALATION HAZARD or POISON GAS placards as appropriate, in addition to any other placards needed by the product�s hazard class. When should you transport leaking containers? Watch for signs of leaking or damaged containers: LEAKS SPELL TROUBLE! Do not transport leaking packages. Depending on the material, you, your truck and others could be in danger. Which of the following is true when loading or unloading hazmat? Do all you can to protect containers of hazardous materials. Do not use any tools that might damage containers or other packaging during loading. Do not use hooks. Brace containers so they will not fall, slide or bounce around during transportation. Be very careful when loading containers that have valves or other fittings. All hazardous materials packages must be secured during transportation. Any package containing any hazardous material, not permanently attached to a motor vehicle, must be secured against movement, including relative motion between packages, within the vehicle on which it is being transported, under conditions normally incident to transportation. Packages having valves or other fittings must be loaded in a manner to minimize the likelihood of damage during transportation. After loading, do not open any package during your trip. Never transfer hazardous materials from one package to another while in transit. You may empty a cargo tank, but do not empty any other package while it is on the vehicle. It is especially important that nobody smoke near what class of hazard? 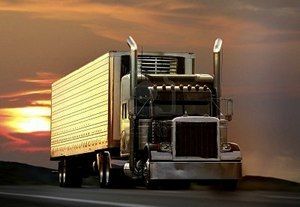 The rules usually forbid the use of cargo heaters, including automatic cargo heater/air conditioner units. Unless you have read all the related rules, do not load the above products in a cargo space that has a heater.